BEIJING, April 22 -- China is looking to the stars in its battle to save the environment. The United Nations Development Programme (UNDP) Monday appointed award-winning Chinese actress Zhou Xun as its first National Goodwill Ambassador to promote environmental sustainability and help the country fight climate change. 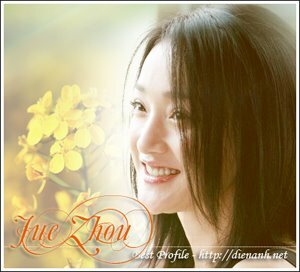 Zhou is expected to leverage on her celebrity status to raise awareness of green issues among the Chinese public and advocate simple, effective lifestyle changes to reduce carbon footprints and live an environmentally sustainable life. "Everyone has a right to clean air and water, but people may have, unwittingly or under certain circumstances, given up that right," Zhou said at her appointment ceremony in Beijing Monday, the eve of Earth Day. "It is obvious that people know about green tips. The issue is getting people to voluntarily practice them. Our goal is to find a clever way to make green tips hip, fashionable and fun. We want people to be proud to practice them," she added. The 31-year-old actress is famous for her roles in movies such as Suzhou River, Balzac and the Little Seamstress, The Banquet and Perhaps Love, in which she won best actress accolades in 2006. She has also garnered numerous fans in her roles in period and contemporary dramas at home and abroad. The UNDP, along with other UN agencies, has long enlisted the voluntary services and support of prominent individuals to highlight priority development challenges, help amplify the message of human development and accelerate achievement of the Millennium Development Goals, which include poverty reduction, maternal health, and fighting child mortality, AIDS and other diseases. It counts tennis star Maria Sharapova and Crown Prince Haakon Magnus of Norway among its other ambassadors, who support advocacy efforts through pro-bono public service announcements and other activities, doing these in their spare time and paying for the costs themselves. Zhou received a letter of designation for her latest green role - for the token fee of 1 U.S. dollar a year. "Climate change has become the defining issue of our time, set to transform the very way we live," said Khalid Malik, UN resident coordinator and UNDP resident representative in China. "We must work with the government, the private sector, civil society and with individuals like Zhou Xun who have the talent and commitment to join us. As a multi-talented, award-winning performer, Zhou Xun has demonstrated her status as one of the best in China's entertainment industry. "I have no doubt she will help make us the best in the battle against global warming, delivering the message that if we all take action and change our lifestyle, we can collectively overcome climate change," he added. It is a daunting challenge. Official statistics show that more than one-quarter of the country's surface water supplies do not meet minimum quality standards, the air quality in one-third of Chinese cities remains poor and pollution is accelerating its spread to rural regions from urban areas. Environmental accidents have also been recorded at an alarming rate. One of Zhou's first tasks as ambassador will see her fronting a two-year multimedia campaign, motivating individuals to take part in the fight against climate change by adopting simple lifestyle habits, such as using reusable chopsticks in restaurants or switching to more efficient, energy-saving light bulbs. "To save water, I personally try not to take baths anymore (only showers)," she said. "Habits can be very hard to change but I want to let people know that we can all make a difference."